Emmanuel lives in Pretoria since 2007, and has a Bachelor degree in health sciences and Honors degree in Social Behaviour Studies obtained from UNISA. Emmanuel took over the rental management responsibilities at Rentalsdotcom Highpoint in 2014 then the sales in 2015 in the very busy suburbs of Sunnyside, Arcadia, Pretoria Central and Muckleneuk. Proving to be an excellent, highly motivated rental and sales consultant, equipped with the necessary tools, he has many happy landlord and tenants and has sold several properties in the area. To the delight of his landlords, he places a high emphasis on quality management of rental properties. Sellers and real estate stakeholders have come in numbers to testify and acknowledges his sales skills; and several earned awards are verifiable indicators of his competency in the real estate industry. Emmanuel is the key agent you need for the best of your property both for the sales or rental management. My name is Given Sfiso Morobana. I am a very hard working young man, who loves working with people. Selling properties is what I do best. I have a good relationship with all my clients, both buyers and sellers. The reason why it is easy for me to sell properties, is because I love and enjoy doing it and it gives me immense joy assisting people finding their dream home. I have been in the property business for the past SIX(6) years. In 2012, before joining the Harcourts team, I worked for JBE Property cc in Brooklyn office, as a rental agent and later moved into sales, and in 2015 I worked for 28-Eagles Properties in Waterkloof. 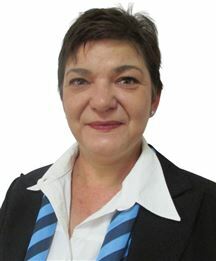 Sonette is a Full Status Estate Agent and registered with the Estate Agent Affairs Board since 1991. Her years of experience in the property industry also includes practicing as an estate agent in our neighboring country, Botswana. She believes that any property transaction should start with a smile and a firm handshake, and end with a satisfied client – not negotiable! Sonette continuously strives towards three qualities she believes every successful estate agent should have: Understanding of the client's needs; Committed to provide excellent service; Client satisfaction throughout a long lasting client and agent relationship. West of Gordon Rd! Colbyn!!! West of Gordon Rd, Colbyn!!! West of Gordon Rd!! Colbyn!! !